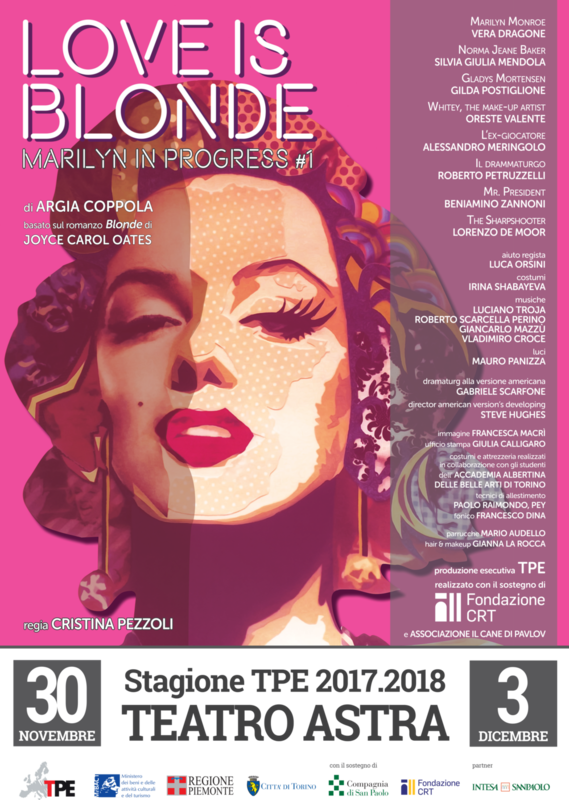 After a long phase of developing in the U.S., the original English script is adapted in Italian: LOVE IS BLONDE is ready for its international debut! The Italian version opens in the playwright’s hometown of Turin, Italy at the Astra Theater in fall 2017 to great acclaim by critics and audience alike. Argia Coppola joins forces with director Cristina Pezzoli and costume designer Irina Shabayeva (winner of Project Runway U.S.) to bring to life a unique, groundbreaking, powerful show. The incredibly textured life and synergy of two women unfolds on stage following the life of Marilyn/ Norma Jeane, and is echoed off stage, too. In combining their respective crafts into a theatrical performance, Coppola, Pezzoli and Shabayeva manage to convey an absolutely precious message: women who team up and create together can really achieve their dreams.